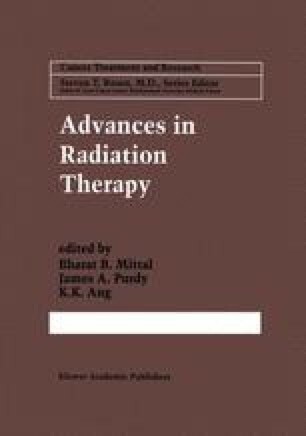 Radiation therapy (RT) is a predominantly local-regional modality in the treatment of cancer. The similarities between the roles of surgery and RT in oncology are many, with some very important differences. Surgery, like RT, is also a local-regional modality; the extent of surgery and RT are often limited by the potential morbidities they can induce in the surrounding organs or tissues, or the tissues of origin of the cancer. Technique and the individual physician’s experience are very important to both. As technical advances occur, both modalities have helped improve the outcome and decrease the morbidities associated with treatments; a knowledge of anatomy is very important in the practice of both disciplines. There are also some differences: Whereas surgery cannot eradicate unrecognized microscopic or subclinical disease in the surrounding tissues or at the tumor margins, RT can. The organ- and function-preservation potentials of RT are becoming more obvious in recent years. Also becoming apparent are the benefits of combined radiotherapy and chemotherapy treatments in their improved local-regional control in many sites compared with RT alone.